I really loved the location. Was very comfortable and very clean. Great having a mid week clean. The property exceeded my expectations with regard to location, presentation and quality. The size of the chalet and the comfort of the bed were terrific. 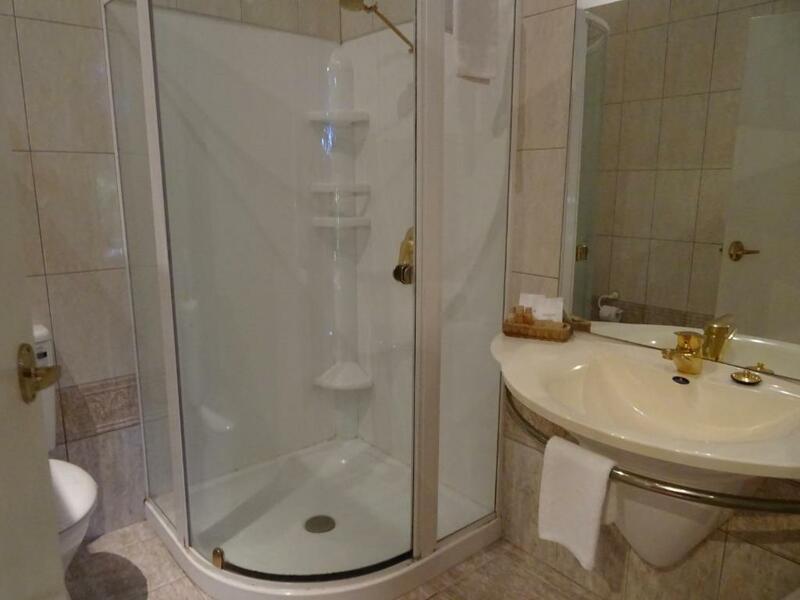 The privacy was great too. Central to walk to cafes etc was lovely. Romance AWhile chalet was the perfect place for romantic getaway.Everthing was of superior quality. Location was perfect so close to Gallery Walk with amazing choices for dining.Would recommend this accommodation to anyone wanting a.relaxing stay. Super easy check in with the keys in a lock box outside the door. Spacious room with awesome spa bath and comfy bed. Kitchen had the necessities like coffee and milk. The log fire place was a lovely extra touch too, added to the ambience. Very enjoyable stay overall. It was a nice place, very classic decor and so quiet .Wonderful ! Lock in a great price for Tamborine Luxury Chalets – rated 8.7 by recent guests! 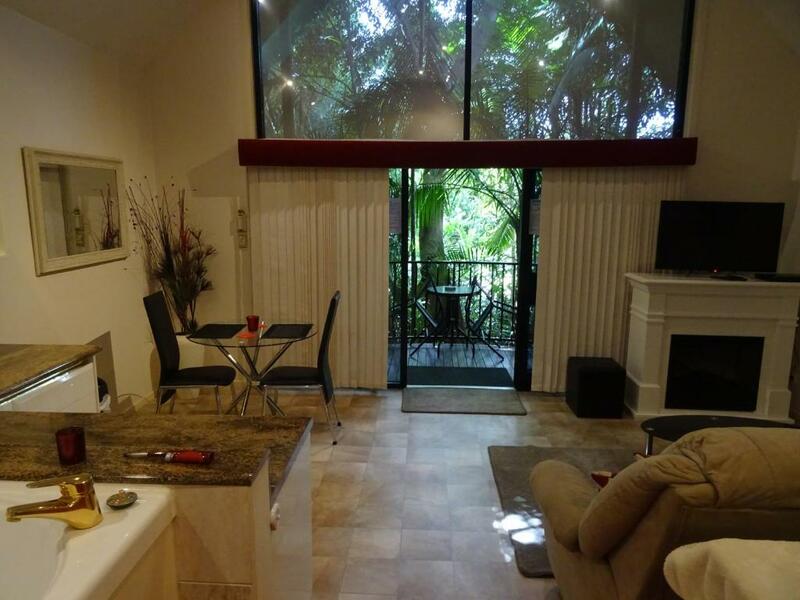 Tamborine Luxury Chalets This rating is a reflection of how the property compares to the industry standard when it comes to price, facilities and services available. It's based on a self-evaluation by the property. Use this rating to help choose your stay! 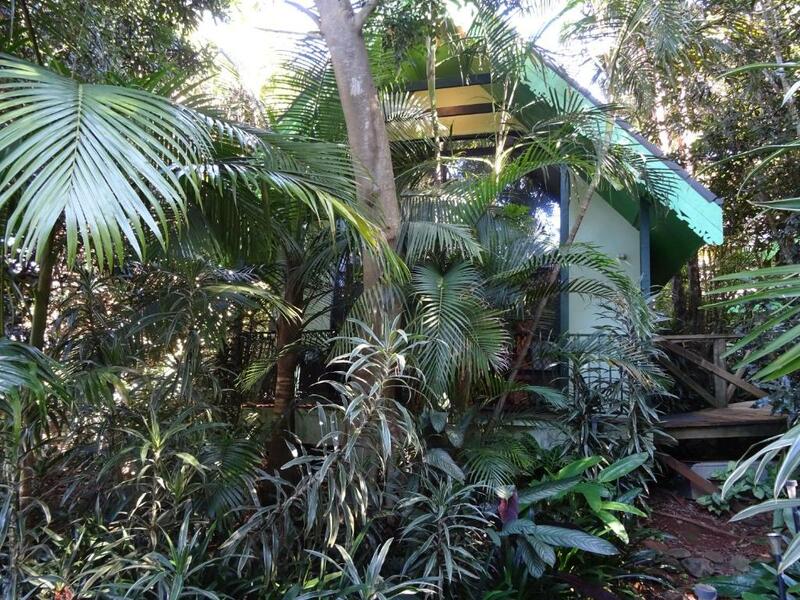 Nestled among a private rainforest garden, each of the Tamborine Luxury Chalets is separated by their own raised boardwalk for maximum privacy. The chalets each include an electric-log fireplace, a balcony overlooking the gardens and a hydrotherapy spa bath. 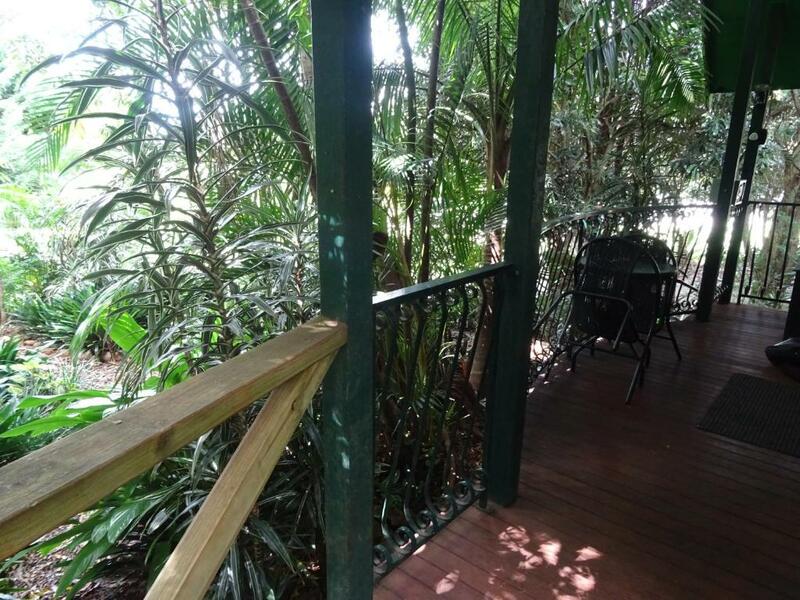 Tamborine Luxury Chalets are a 2-minute stroll from Mount Tamborine’s famous 'Gallery Walk', featuring boutique craft shops, wineries, restaurants and cafes. The Glow Worm Caves at Cedar Creek are only 1.6 mi away. Each of these stylish, air-conditioned chalets features a kitchenette, a dining setting and a living area with a sofa, TV and DVD player. Your queen-size bed offers luxurious down and feather pillows. Free car parking is included. 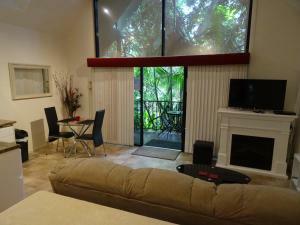 When would you like to stay at Tamborine Luxury Chalets? This stylish, air-conditioned chalet features a kitchenette, a dining setting and a living area with a sofa, TV and DVD player. Your queen-size bed offers luxurious down and feather pillows. Free car parking is included. 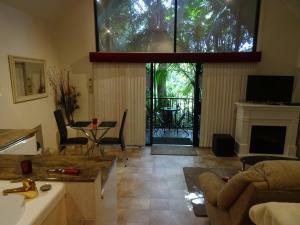 House Rules Tamborine Luxury Chalets takes special requests – add in the next step! Tamborine Luxury Chalets accepts these cards and reserves the right to temporarily hold an amount prior to arrival. Location to shops and restaurants. Decor is probably getting a little bit dated. They didn’t clean between the cushions on the couch. A bit outdated, but comfortable. Lounge smelled strongly of cleaner, was a bit overpowering. Walking distance to everything. Clean. The driveway was a little rough. Service from lady who does the booking. We hated the open ceiling bathroom as it offered absolutely no privacy re toilet etc. TV could be bigger when you want to see it from the spa or the bed. Two of the downlights in the lounge room area are not working. Cold due to winter. Drive way is extremely poor and vehicle suffered damage from falling tree matter. Outside of buildings need a clean. Decor is starting to show age. Music CD collection wss wonderful but had quite a few scratches and the volume on the player was stuck on one setting. We could not turn it down. Otherwise perfect. Easy process from ststt to finish.